← Some of our latest work! Ok so it’s been a while since I have had a moment to put fingers to keys for a blog post but that’s not to say it’s been quiet. January saw me off to LA for the NAMM show. Thanks again to all the Avid and non Avid folks who made that a fantastic trip. February saw me off to Dublin for the Music Ireland show and in March I was off to Germany for Frankfurt Musik Messe. I cant believe this was my first time to Messe after so many years of doing shows. Just after Easter I did my longest show of the year Gadget Show Live at the NEC in Birmingham. SIX days of event. Now Im back in the studio and getting a chance to do some spring cleaning.Out with the old and in with some new / classic toys. First of all I recently found an old Novation Supernova while on a store visit. I loved this system when it first came out but sold my first one and have been kicking myself ever since. Some of the old rack kit has gone to the great and good of ebay (so check out ebay seller jamesdrumist007 if you want to pick up some quality studio toys) to be replaced by the NEW front end for the studio. 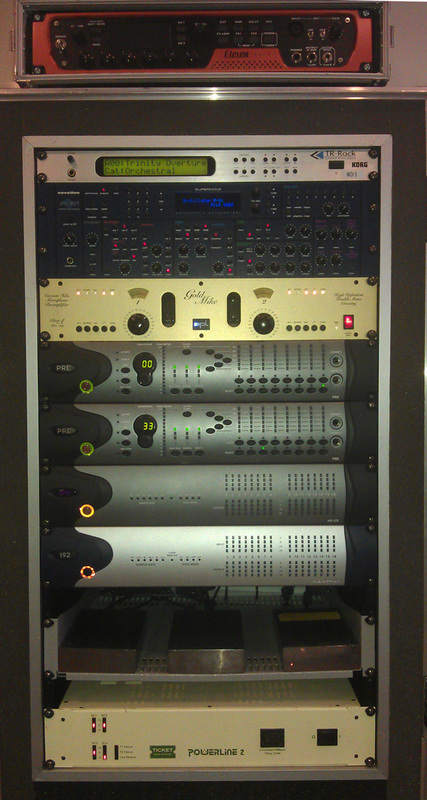 a NEW Avid HD i/o 1616. This unit sounds so good I want to remix all the work I have done in the last year just to prove how much better the outputs sound. WOW. Im looking forward to using the input section fully on a session this week. Korg TR Rack synth, Novation Supernova Synth, SPL Gold Mike VI, Avid Pre x2 with new Grey front. Avid HD i/o 1616, Avid 192 (to soon be replaced by another 1616), Lacie Drives, Ticket Powerline 2 power conditioner. If you have any questions about any of this kit please do drop me a line.